Today on college campuses across the United States of America the students of the Left cry for their safe places where they can feel safe. They believe these safe places will keep them from hearing other people say things that hurt their feelings or disturb them, or what they feel goes against their determined beliefs of what good and evil are. Many of these students are mislead by the public school systems. This misdirection continues on with their college professors (most of them are leftists) who must mindlessly write what their instructor insists on them writing (their opinion) or else they will give them a bad grade. These teachings drive the students right into the path of socialism, which is really communism. Many of them are morally bankrupt and may not even believe in God. Is it any wonder, then, that they feel unsafe in a world of evil where God (good) does not seem to exist? In chapter 11 Jesus enters Jerusalem, the city of peace, unto Bethphage (“house of figs; house of unripe figs” [Metaphysical Bible Dictionary]) and Bethany (house of figs; …place of crossings; place where crossings are made; place of fords” [Metaphysical Bible Dictionary]}, at the mount of Olives. On November 11, 2014 I noticed something that I had never seen before, even though it was right there in front of my eyes! What I realized is that there are flowers in the painted windows of the original Boston Edifice and these flowers represent stars. 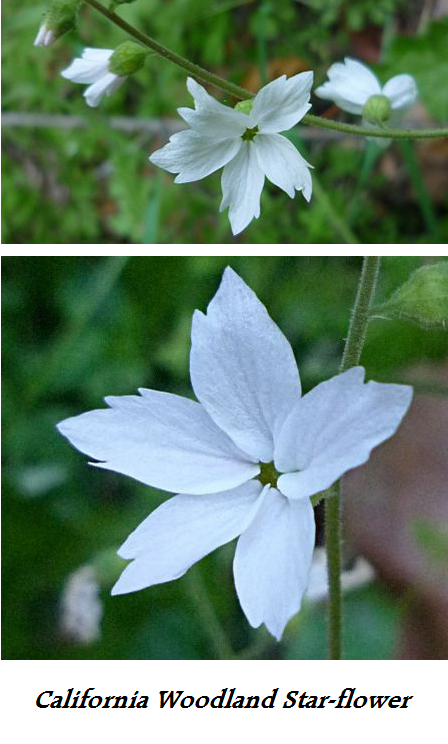 On November 12, 2014 I looked up white flowers and found the Star of Bethlehem (Hyacinthaceae Ornithogalum umbellatum) and knew that it was a match to the flowers in the windows, even though they only have six petals while the Star-Flowers in the windows have seven petals for the seven synonymous terms for God: Mind, Spirit, Soul, Principle, Life, Truth, and Love. 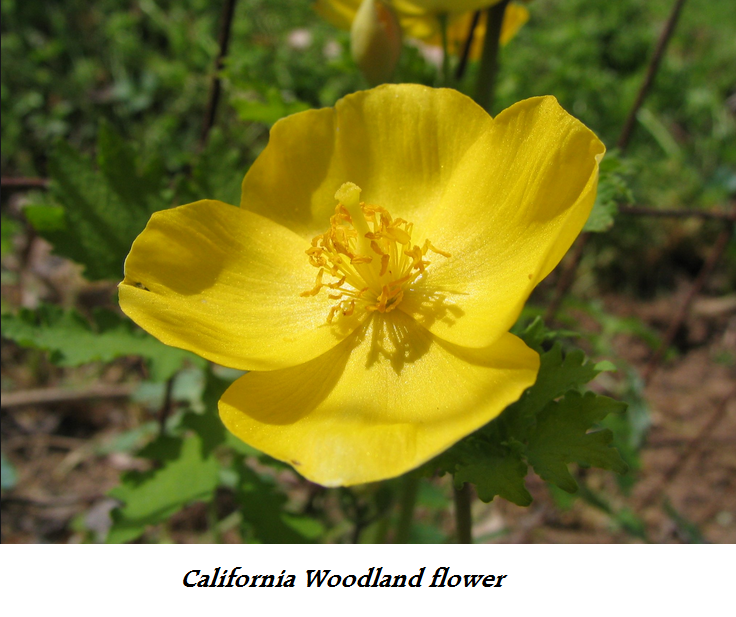 It also occurred to me that these flowers were used in the Christ and Christmas matrix (which I call Sharon’s Rose Matrix) that was made by Ingeborg Tillisch Kelley in 1971 for “The New Story of Christ.” Seen below is a picture showing part of this matrix. The twelfth petal has, what I think to be, seven Star of Bethlehem flowers on it (each flower having seven petals). 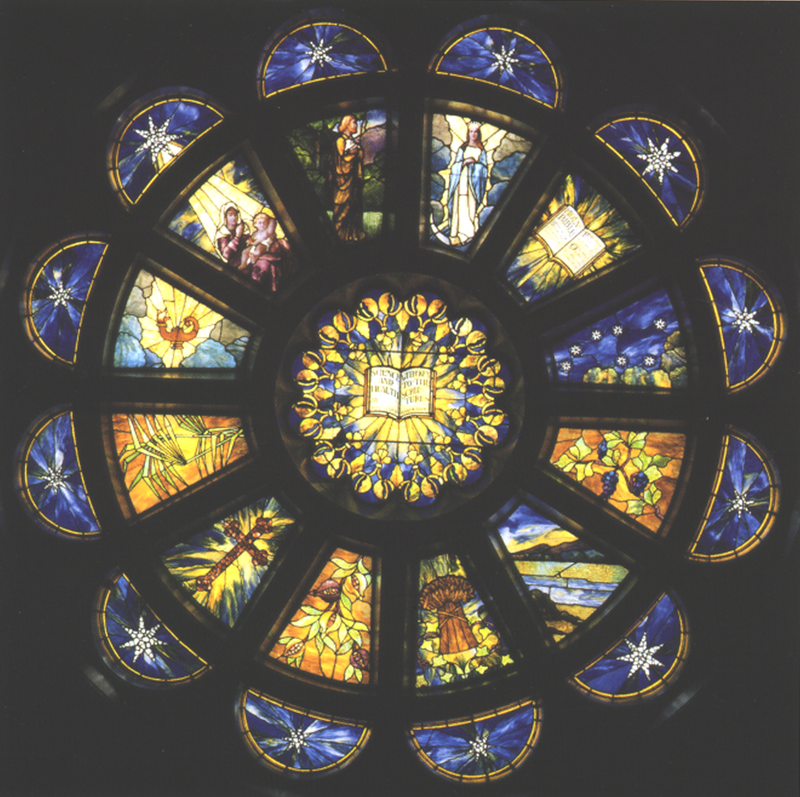 Kelly says that this flower was “inspired by” a Rose Window in the Concord Branch church that was described in Alice L. Orgain’s pamphlet, The Tree of Life. The following is from Kelly’s work and ‘quotes’ from Orgain’s work. The following quote is from Andrew W. Hartsook’s book CHRISTIAN SCIENCE After 1910 (page 196). It is a paragraph from Mary Baker Eddy’s Last Will and Testament. Since the item is “4” I feel that what is written in the following paragraph has to do with the divine calculus — the Word, the Christ, Christianity, and Science. More specifically, it has to do with the squared-cycle (or if you prefer, the squared-circle) of Science. I received a very negative comment from a man. First of all he made some mistakes in his comments to me and what he said shows that he knows absolutely nothing about Christian Science. I will not post his comments because I do not see a need to do so, I will just comment on what he said. Should the United States of America attack Syria because of a gas attack on innocent people? Most of the citizens of the United States do not want to attack Syria because we are just tired of war since September 11, 2001.